SCVHistory.com LW3230 | Golden Oak Ranch | Mexican Lobby Card: 'Toby Tyler, or Ten Weeks with a Circus' (Disney 1960). 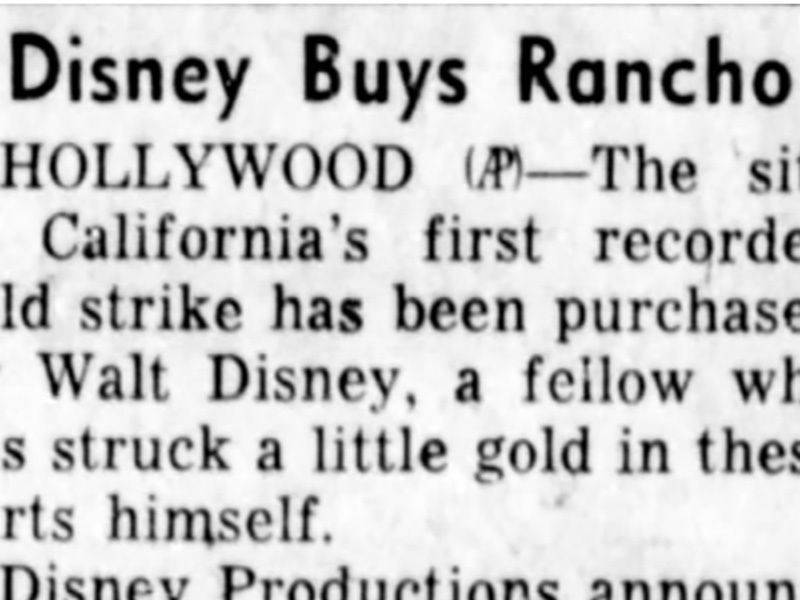 "Toby Tyler, or Ten Weeks with a Circus"
He had used the property previously, but "Toby Tyler, or Ten Weeks with a Circus" was the first feature film Walt Disney produced at his Golden Oak Ranch in Placerita Canyon after he bought the old movie ranch in 1959. The picture was released domestically January 21, 1960. 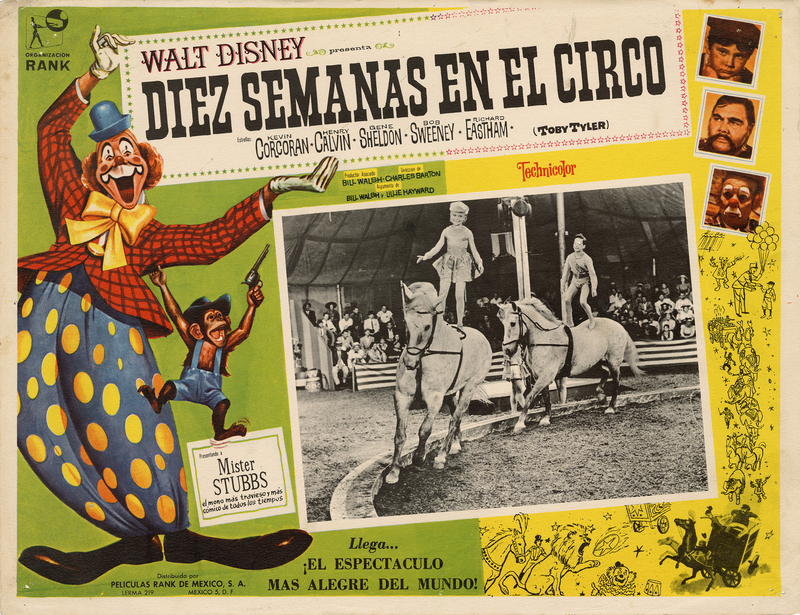 Mexican lobby card, 12½x16½ inches (standard size for Mexico), as "Diez Semanas en el Circo." Bill Walsh produces and Charles Barton directs a story by James Otis Kaler (novel), Lillie Hayward (screenplay) and Walsh (screenplay). Animals are provided by Nature's Haven Wild Animal Rental Co. under supvervision of Ralph Helfer. Kevin Corcoran plays the title role, with Henry Calvin, Gene Sheldon, Bob Sweeney, Richard Eastham, James Drury, Barbara Beaird, Dennis Olivieri, Edith Evanson, Tom Fadden and Oliver Wallace. Uncredited cast includes trapeze artists Babs Graham, Del Graham and Dave Knupp; Ringling Brothers clowns "Eddie Spaghetti" Emerson, Abe Goldstein, Duke Johnson and Harry C. Johnson; Chet Brandenburg, William Challee, Noble "Kid" Chissell, John Cliff, James Dietrich, Ben Frommer, Sam Harris, Jess Kirkpatrick, Bob LaWandt, Ruth Lee, Herbert Lytton, James MacDonald, Michael McGreevey, William Meader, Howard Negley, William Newell, Henry Rowland, Phil Schumacher, Barry Seltzer, Robert Shayne, Olan Soule and Guy Wilkerson. Stuntman Kermit Maynard is also uncredited. LW3230: 9600 dpi jpeg from original photograph purchased 2018 by Leon Worden.